Porvair Sciences announces a new range of 96-well (square and round) capmats made from 100% pure silicone that has been conditioned for low bleed and ease of needle penetration when used with autosamplers. Advantageously these silicone capmats reseal after each piercing and may be re-pierced many times without loss of function. Specially treated with a PTFE coating, Porvair silicone capmats offer increased chemical resistance thereby maintaining high sample integrity even over extended periods of time. 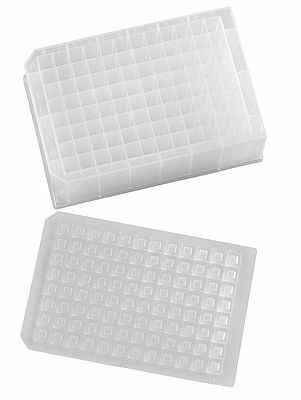 Resistant to organic solvents including ethanol, methanol, DMSO and DMF, these flexible silicone capmats individually seal the top of each microplate well reducing the chance of well-to-well sample contamination to near zero. Porvair silicone capmats may be autoclaved clean at 120° C or used to provide high integrity store down to -70° C.